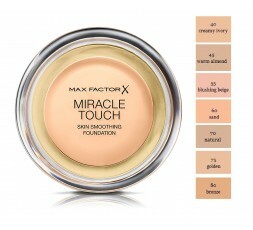 The unique all-in-one Max Factor Miracle Touch Foundation has a solid-to-liquid formula to give you a flawless base with one easy application, with no need for concealer and powder. Miracle Touch reduces the appearance of redness, dark spots and blemishes and leaves the skin feeling and looking moisturised. The lightweight solid formula becomes liquid with the warmth of your fingers and glides smoothly across your skin for a perfect, even glow and balanced coverage - not too sheer, not too cakey. 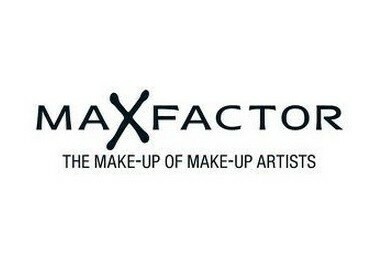 The result is a fresh and incredibly smooth, soft matte complexion that glows with radiance. 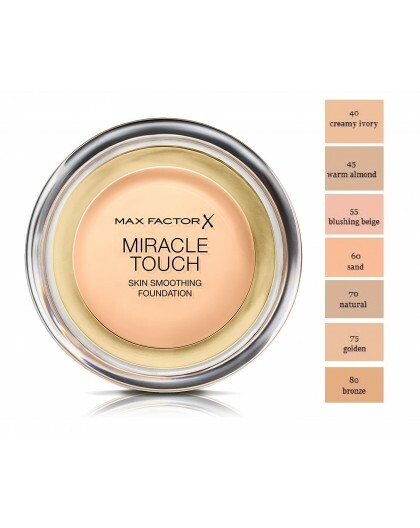 Either you achieve this flawless finish with just one extremely lightweight layer or you build higher coverage with the easy-to-build, oil-free formula. It is suitable for all skin types including sensitive skin and is non-comedogenic, which means it won't clog the pores. It evens the skin tone, brightens complexion and leaves you looking flawless all day. The convenient, easy to hold compact with a sponge ensures quick and easy application. To choose your perfect shade, match the foundation with the skin tone of your jawline. 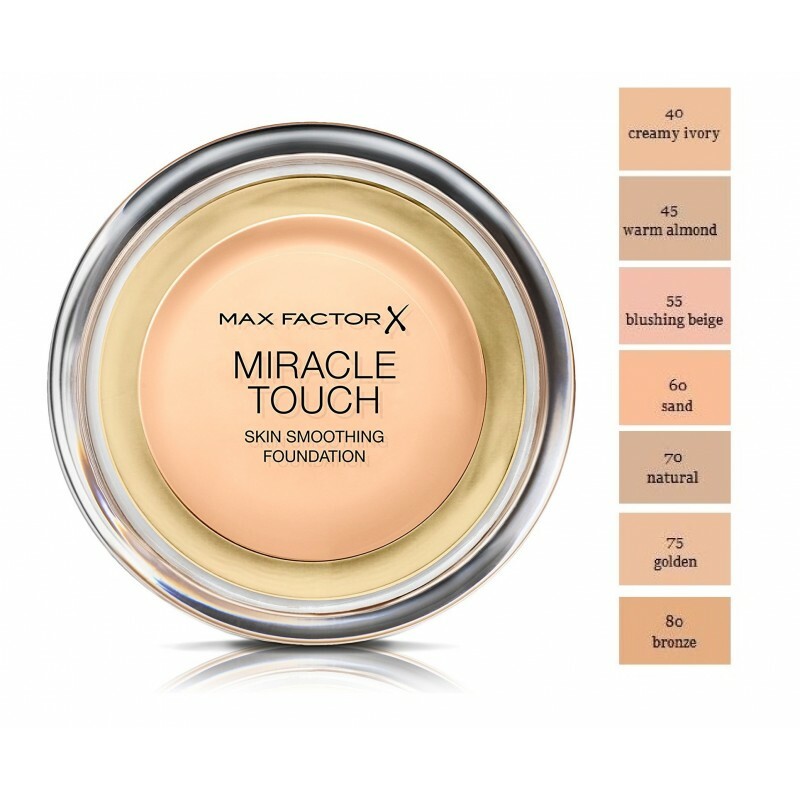 For the most professional results, use the compact sponge and smooth Miracle Touch Liquid Illusion foundation starting from the centre of your face and blend it outwards. Try using the edge of the sponge to conceal dark circles and blemishes. Always apply the foundation in good natural light.